I feel the need to apologize for the sun pics ... sun was kind of hazy & also at a different angle, higher than normal when I'm taking pictures, and I wasn't totally happy with how the pics turned out. I had every intention of doing some product reviews this weekend, but I ended up spending almost the whole weekend with my mom. Yesterday we went out to lunch, went to the greenhouse - where I was going to buy her a bush & then after browsing around we decided we need to do some more research online - and then ran a few errands like grocery store & stuff. Today we went to my grandparent's house so she could see her own mom, for lunch, and then after that I took both mom & dad & we went to see the new Star Trek movie - which I have to admit was VERY good. I had my reservations at this new young cast but they really kept it true to the franchise while adding some fresh perspective. Anyway, so I don't know if I'll have enough time during the week or if it will take until next weekend for the reviews. Thanks for reading. 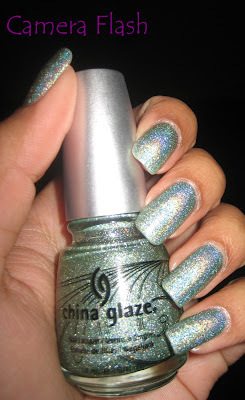 If there was/is an award for taking awesome & thorough pictures of nail polish's for nail blogs = you would absolutely win! 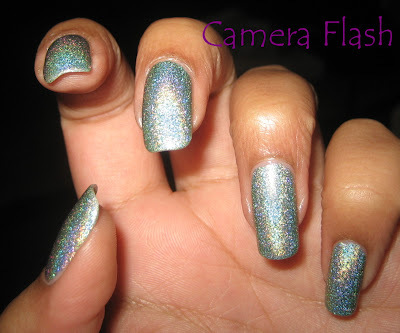 Excellent - excellent photo's and a georgeous polish ! That is just gorgeous - and your photos are perfect, no worries. 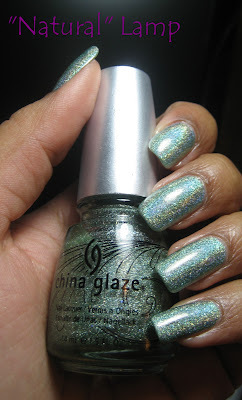 Love that shimmer, lots of "bling"! I think all the colors from this collection had "shapes' in their name, so while they don't have anything to do with the colors, the names all fit together for the collection. I love this color, isn't it just so pretty and interesting to look at? 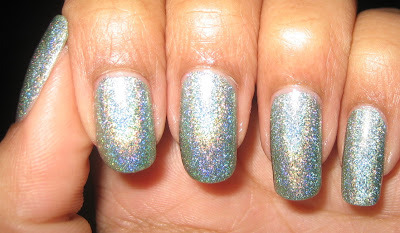 I love all the holo's . I have to get some more of the collection. You take such beautiful pictures. I love how you get all angles that show the glow. Your nails looks beautiful as usual. Don't Be a Square, Tickly My Triangle, Sexagon, Octa Gone Wild, Spin Me Round, Visit Me in Prism, Let's Do it in 3-D, It's My Turn, How About a Tumble, Rated Holographic, Kaleidoscope Him Out. And I guess shapes do make sense, since that's what's inside old-school kaleidoscopes. But there's only so many shapes so then they had to get creative. And that's probably more than some people wanted to know about the collection without any accompanying pics LOL. 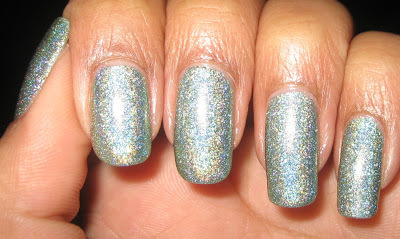 LUCY - I've been happy with every single one I've tried so far, the more holos the better =). 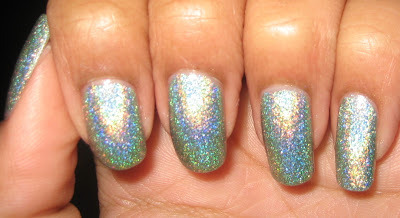 Even with the holo finish making them all similar, they all still stand on their own.